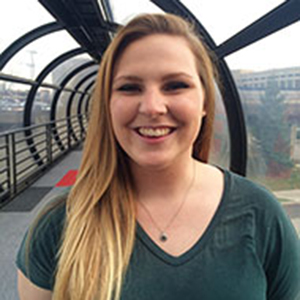 Lynn Wallace, a junior majoring in nuclear medicine, came to IUPUI to pursue becoming a radiation therapist. After completing the prerequisites and applying to the radiation therapy program, she was not admitted. Read below to learn how Lynn entered her degree-granting school. At the time, Lynn was a first-year seminar mentor, and the professor of the class she mentored for had gone to school for nuclear medicine. After talking with the professor, Lynn found that radiation therapy and nuclear medicine were closely related programs. The overlap exists in the job duties and responsibilities. Both have radiation safety and patient care along with computer processing and software understanding. Although the prerequisites for each program are not identical, they are very similar, which is why many students choose to apply to both at the same time. It doesn’t hurt to keep your options open. I’m glad I did.